The metro rail has been started on June 2014. This is big relief for people travelling from Versova to Ghatkopar as it reduces the journey time from 90 minutes to just 20 minutes. The fare will be decided after a month by the government. 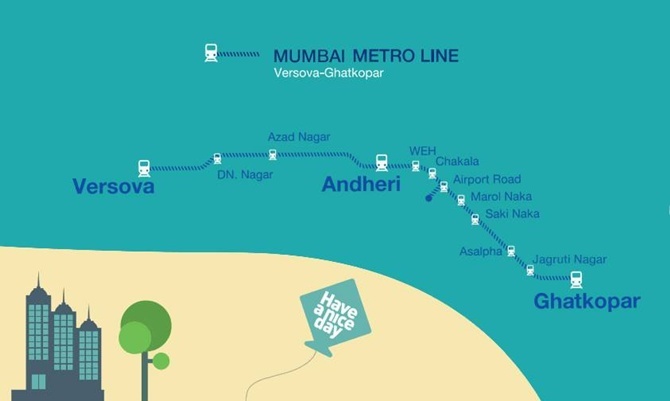 You can check the Mumbai Metro rail map below.